Vincent Coll was born in Gweedore, Donegal and emigrated to the United States along with his family in 1903, he would become one of the most infamous names in Mob & Prohibition Era. With the police, media and his enemies all looking for him, Vincent “Mad Dog” Coll had been hiding in Upstate New York, around Albany with rumors that he was working on an alliance with none other than Jack “Legs” Diamond, who himself had run into legal difficulties and was in need of some quick cash. In an unlikely story that involves Salvatore Maranzano, Charles “Lucky” Luciano, Vito Genovese & members of Murder Inc, Vincent “Mad Dog” Coll made the easiest money of his life. The police had being searching for Coll in connection to a shooting where a 5 year old boy was caught in the crossfire, Michael Vengalli died and 4 other children wounded in a failed assassination attempt on rival mobster Joey Rao. With Coll slipping in between New York City & Upstate New York he had an important meeting with Salvatore Maranzano, who having won the Castellammarese Mafia War, was the biggest mafia figure at the time, the “Boss of Bosses”. The Boss of Bosses was having troubles of his own by the names of Vito Genovese & Charles “Lucky” Luciano who were the up and coming new generation of gangsters. Maranzano came up with a plan to kill Luciano & Genovese, he would invite them to his office and assassinate the two of them. He put the word out and Vincent “Mad Dog” Coll answered, Maranzano met with Coll in early September to discuss the job to which he accepted, Maranzano told Coll to contact him a week later. Coll and Maranzano agreed to a fee of $50,000 half up front and half after the job was complete. On the 10th September 1931 Coll went to meet Maranzano and was told who his targets were, Luciano & Genovese, and it was to be taken care of that same afternoon. Coll was paid the $25,000 and was told to come back later that day to finish the assignment and collect the remainder of the money. Maranzano had called Lucky Luciano and Vito Genovese to his office for a meeting however, Maranzano didnt know that they both had been given information from an associate, Frank Costello, that an attempt on their lives was planned. They hatched a plan of their own and seize the chance to take Maranzano out for good. Salvatore Maranzano’s Eagle Buidling Corporation office was on the 9th floor the New York Central Building, now called the Helmsley Building on 230 Park Avenue, a picturesque building over looking Grand Central Station, a unique location for a murder. Salvatore Maranzano moved his offices to the New York Central Railroad Building, a place where he could rub shoulders with stock brokers and Vanderbilts. 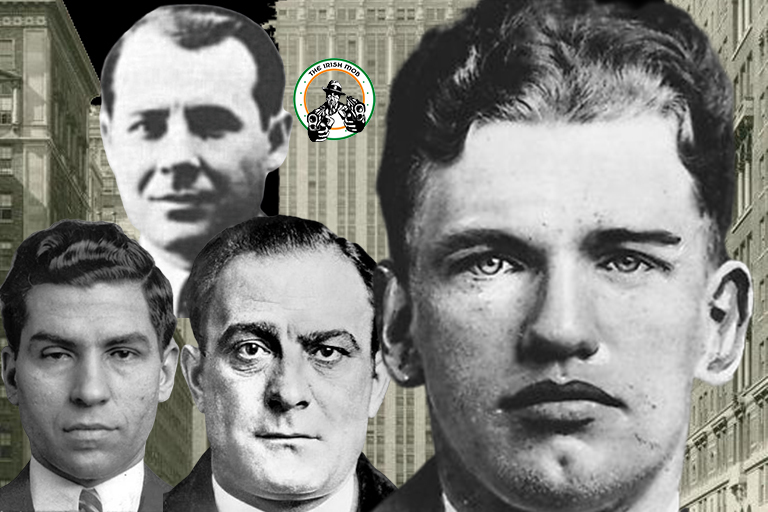 Through mob informant Joe Valachi who was Maranzano’s driver at the time, there is some speculation as to who the hit squad was, some say Bugsy Siegel & Samuel “Red” Levine along with two other members Murder Inc. but it is known that 4 men entered The New York Central Building, made their way to the 9th floor offices of Eagle Building Corporation and flashed Treasury Agent badges. They lined up the bodyguards against the wall then proceeded to shoot and stab Salvatore Maranzano, leaving him dead in the office. As the four assassins were making their way down to the lobby, Vincent “Mad Dog” Coll was on his way into the building to take care of his end of the contract, seemingly one of them recognized Coll, told him what had happened and he should just turn around and leave. Its not clear if they knew Coll was there to kill Luciano & Genovese, it was known that there was a plan to kill them but not actually know who was going to do. Coll I presume was relieved he didnt walk into an ambush but disappointed to miss out on the extra $25,000 but still he made himself an easy $25,000 in the process.